Reducing crime and promoting public safety cannot be delivered by the police alone. We all have an important role to play. Effective partnerships prevent duplication, reduce costs, and tackle issues using a joined-up approach. The Police and Crime Commissioner already has collaborative arrangements in place with, Hampshire Fire and Rescue Service, Thames Valley Police and Hampshire County Council that create efficiency through estates and functions such as IT, personnel and procurement. In addition there are a number of well established networks that the Police and Crime Commissioner is involved in. SafetyNet+ is a secure partnership database for information sharing, joint risk management and problem solving for multi-agency work across Hampshire, Isle of Wight, Portsmouth and Southampton. It is managed by the Office of the Police and Crime Commissioner on behalf of community safety partner organisations. The Police and Crime Commissioner chairs the Hampshire and Isle of Wight Police and Crime Reduction Alliance which was established to seek the commitment from partners to work closer together, support each other and coordinate the management of resources to promote public safety. 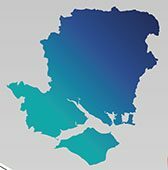 The Hampshire & Isle of Wight Local Criminal Justice Board’s vision is to deliver in partnership, a fair, effective and efficient Criminal Justice System, focusing on the service given to victims and witnesses of crime, prevention and rehabilitation of offenders in order to make Hampshire and the Isle of Wight a place where people will feel safe to live, work and visit. 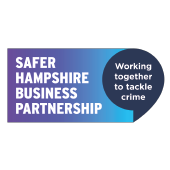 The Safer Hampshire Business Partnership brings together businesses, professional organisations, police, and public sector support agencies. It is chaired by Enzo Riglia, Assistant Police and Crime Commissioner. The Hampshire and Isle of Wight Hate Crime Action Group is a multi-sector tactical group that exists to challenge prejudice so that all individuals can go about their daily lives safely and with confidence and enhance individual’s feelings of safety. 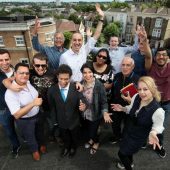 The Group has two main aims: to raise awareness among its member organisations and better understand the nature of hate incidents occurring across Hampshire and the IOW, ensuring an appropriate response to individuals and the wider community, and, through use of best practice initiatives, engagement and involvement, to educate and increase confidence of communities to understand hate crime, how to report it and the support they will receive. The Modern Slavery Partnership was created in response to the Modern Slavery Act and government modern slavery guidance. Chaired by a member of the Police and Crime Commissioner's team the partnership is working to develop the best interagency response to modern slavery so victims are properly supported and the partnership can continue to prevent offending and prosecute offenders. Police and Crime Commissioner has joined forces with community safety partners to form the Hampshire & Isle of Wight Community Safety Alliance. The alliance enables the Commissioner to build and maintain a strong working relationship with the Community Safety Partnerships (CSPs).